Another version of Robert Browning's famous poem about a plague of rats, and the mysterious Piper who charms them away. 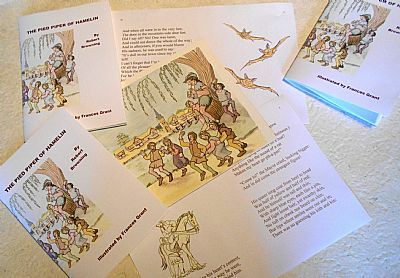 This publication is in A5 format and shows the colourful illustrations by Frances Grant to their best advantage. Laser printed and sewn into pictorial card covers.40 pages.